It was one of those lightbulb moments that first got me into the business of making falafel. As nearly a life-long vegetarian I’d had my share of soggy or dry supermarket falafel over the years and had even tried a few of the dusty packet mixes (just add water and prepare for disapointment…) so when during my travels abroad I tried freshly-made falafel for the first time it was quite the memorable experience. Not only did it taste great but it was green on the inside which I’d never come across before. Back home I bacame slightly obsessed with trying to replicate this deliciousness and after much research discovered that a high fresh herb to chickpea ratio was the key to it all. After months of experimentation I eventually came up with a version which myself and my staff loved, hence the name! We were operating mainly as a coffee bar at the time and decided to start doing the falafel once a week as a special so ‘Falafel Friday’ was born. It proved popular so I decided to go for it and make the cafe into Brighton’s first vegetarian falafel-only establishment. We also love to give our falafel a twist and have a lot of fun coming up with different combinations of herbs and spices such as falafel masala with warm Indian spices or basil and cashew as well as smoked paprika to name but a few. 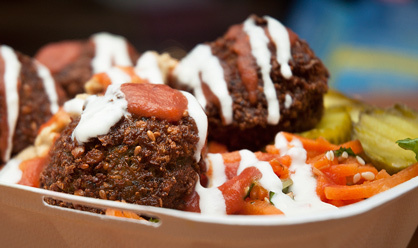 We also do vegetable falafels such as beetroot and sweet potato to our own unique recipes. 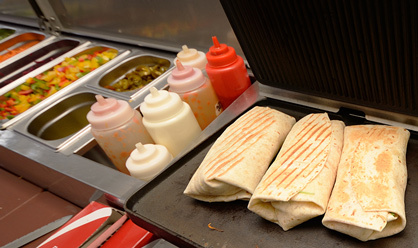 Everything is vegetarian and we also cater extensively for vegans and have gluten-free options. Please talk to us about any dietary restrictions you may have. We look forward to seeing you! We fry our Falafel in Pure Rapeseed oil (Non GMO) so that they’re crisp on the outside and soft in the middle. Keep up to date with specials! 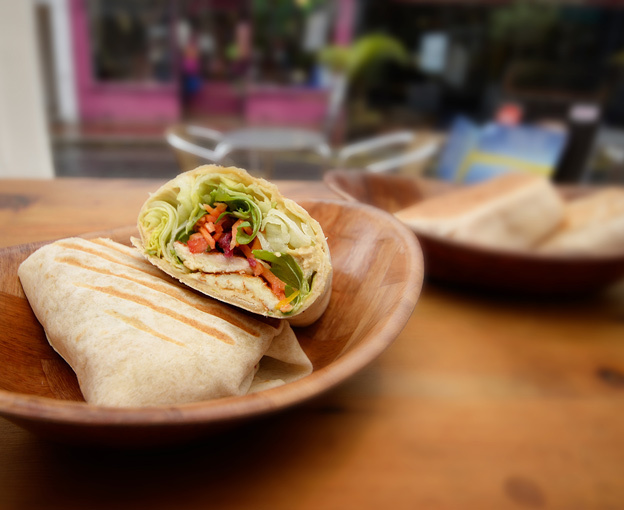 Get special offers from we love falafel, secret recipes and goodies! Sign up today!